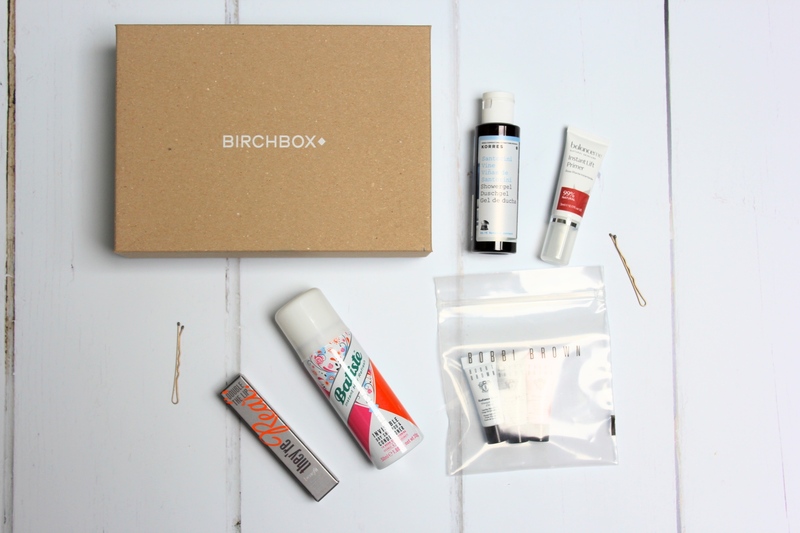 If you haven’t heard of Birchbox then let me fill you in. 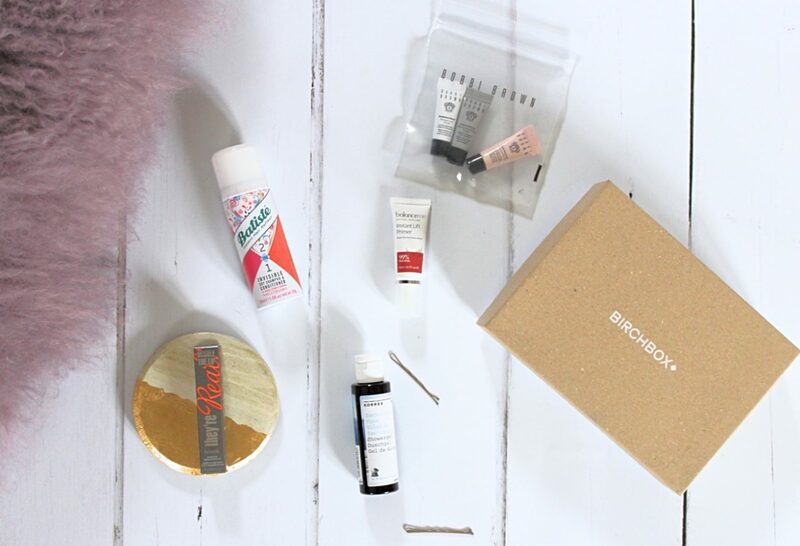 Its a monthly beauty subscription box that costs £10 a month. 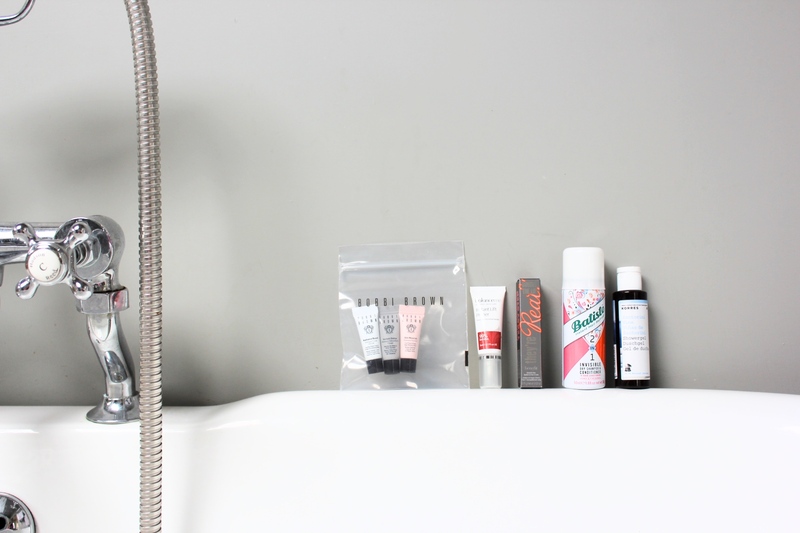 Each month you will be sent 5 beauty products tailored to your personal preferences. It gives you an opportunity to not only try new brands but also have these amazing travel sizes that are so handy for mini breaks and actually using the whole product before getting bored and trying something new. I cant tell you how many Full size products that I own but have never actually finished that are just lurking in my bathroom cabinet. I have been subscribed to Birchbox for over a year and I really love it. This is March’s subscription box and it includes Benefit Double The Lip which is a lipstick in a teardrop shape. The point of the teardrop is a liner meaning you can apply both at the same time. It actually works and I received the Pink Thrills colour which is fab. Remember bright lips detract from tired eyes! Also in my box is the Balance Me Instant Lift Primer which helps to reduce the appearance of pores. Containing Hyaluronic acid to help tighten and refine skin. This is a brand I hadnt used before and I was really impressed with the primer but unsure if its good enough to pull me away from my Laura Mercier one. Next up is the Korres Santorini Vine Shower Gel. I have always been a massive fan of the Korres shower gels. I normally buy them for trips away as they are £8 so slightly more high end but so luxurious. I have a weekend away next weekend and this will be perfect! Did you know Batiste do a 2-in-1 Dry Shampoo and conditioner? Well this is a game changer. I normally use the original Batiste dry shampoo to add texture to my hair but then it always feels so dry the next day. This product has taken the dryness away and I love it and will definitely be repurchasing! Finally in my box was the Bobbi Brown Multi-Mask Kit so that you can bespoke your face mask dependant on what problems you have. Oily T-zone? use the instant detox, Dull cheeks? the radiance boost and soothe any dry patches with the skin nourish. I love trying new things and that is why birchbox works for me. If you want to try it and get £5 off your subscription click here.